Rogue River, Oregon – September 2014 – Further improving the Rapid RH® DataMaster™, winner of the Most Innovative Product Award 2013, Wagner Meters (www.wagnermeters.com) has released a free firmware update. A pocket-sized device, the DataMaster™ combines Bluetooth® technology with touch screen controls to automatically record and store Rapid RH® test results. Used with the proven Rapid RH® Smart Sensors, the DataMaster™ and Bluetooth® Reader combination allows users to acquire the internal relative humidity and temperature of a concrete slab via Bluetooth® technology. This data can then be uploaded to www.f2170reports.com, ensuring data integrity and proper data documentation to comply with ASTM F2170-11. The DataMaster™ firmware update automatically loads job statistics to the www.f2170reports.com website, rather than users having to create a zip file before uploading data. 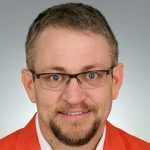 “With this update, we have made the DataMaster™ even better by improving the user experience and making the interface more user-friendly,” says Jason Spangler, Sales Manager for the Rapid RH® product line at Wagner Meters. The update will be included in all DataMaster™ units sold after August of 2014. Current DataMaster™ users can download the free update at bit.ly/DataMasterUpdate. To learn more about Wagner Meters’ complete Rapid RH® line of concrete moisture testing products, visit wagnermeters.com or call 1-800-634-9961 for more information. 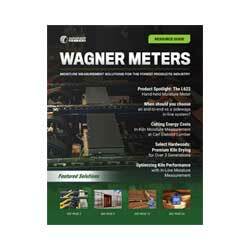 Wagner Meters is the trusted world leader in moisture meters and moisture management solutions. Each product is proven by science and engineered for accuracy. For nearly 50 years, Wagner’s field-proven moisture meter technology has helped thousands of customers solve and eliminate concrete and wood moisture problems.